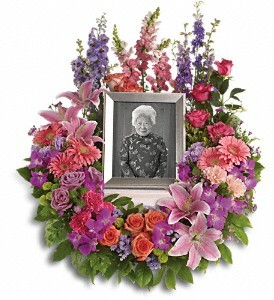 Keep fond memories close to your heart with this lovely feminine floral wreath. 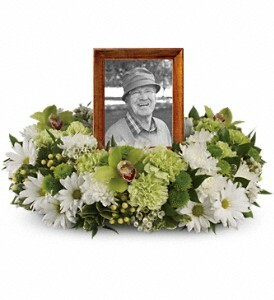 It’s perfect to surround a framed photo of the departed. 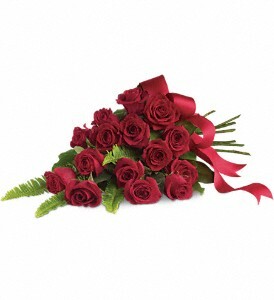 Standard: Bouquet will be delivered approximately as pictured. 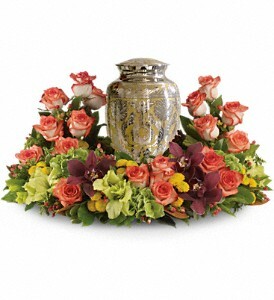 Deluxe: Additional flowers will be added to enhance the bouquet. 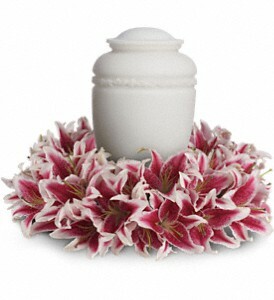 Premium: We will add more blooms and select the highest quality flowers we offer in this style. We understand what an important and personal decision this is for your family. It is our goal to provide you with all the tools you need to make an informed decision that your family is comfortable with.